Urban philosopher David Kishik talks about his book, The Manhattan Project. It imagines what Walter Benjamin would have written about New York had he succeeded in escaping to the US from Nazi-dominated Europe. When the German philosopher Walter Benjamin committed suicide on the French-Spanish border in 1940, he left behind one of the most brilliant and idiosyncratic cultural critiques of a city the world has ever known. Unfinished at the time of his death, The Arcades Project was a massive collection of notes about Paris — filled with penetrating insights, fragmentary analyses and vivid descriptions of the city in which Benjamin spent the last 13 years of his life. Walter Benjamin killed himself in despair on finding the Spanish border temporarily closed when he was trying to flee Nazi occupied France and make it to New York City, where he had obtained a visa to teach at the New School. But what if he faked his suicide? What if he actually made it to New York? And what if he continued his investigations of urban philosophy by pursuing a “Manhattan Project” like The Arcades Project about Paris? 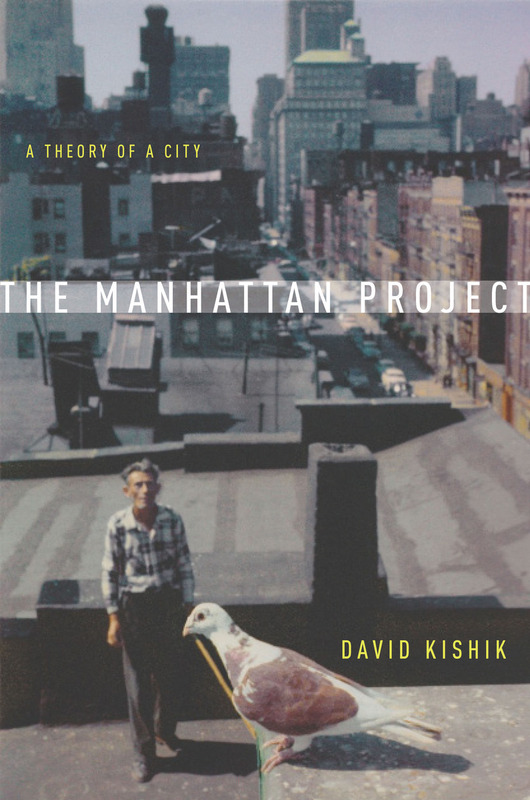 That’s the thesis of David Kishik’s new book, The Manhattan Project: A Theory of A City. The book is a scholarly study of an imaginary text by Benjamin about New York. An urban philosopher himself, Kishik examines the city through the lens of Benjamin’s sensibility — for lovers of New York, Walter Benjamin, Jane Jacobs and urban philosophy in general, it is a fascinating exploration of Manhattan as the capital city of the twentieth century. David Kishik teaches in the Institute for Liberal Arts and Interdisciplinary Studies at Emerson College. He is also the author of Wittgenstein’s Form of Life and The Power of Life.